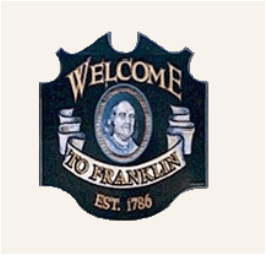 The Town of Franklin was established in 1786 and named after statesman Benjamin Franklin. Franklin is largely rural, with industry focused on the south end of town, and emphasis placed on preserving its agricultural roots. Known for the "Seven Hills", Franklin has far-reaching views of The Last Green Valley, the 35-Town National Heritage Corridor in eastern Connecticut and south-central Massachusetts. Local attractions include the Janet Carlson Calvert Library; the Ashbel Woodward Museum; Giddings Park and Pavilion; Veterans Memorial Park; and the Blue Slope Country Museum. The town also has one church, the Franklin Congregational. A world-class golf course, hotel and spa is currently under construction. Giddings Park and Pavilion contains a ballfield complex, horse ring, tennis and basketball courts, a walking trail, a playground, and picnic areas. Veterans Memorial Park pays tribute to Franklin's soldiers. Blue Slope Country Museum is a private organization that holds events and tours throughout the year, plus an annual festival. The Ashbel Woodward Museum also hosts several events during the year, including a Victorian Tea, Ashbel Woodward Day, and Victorian Christmas. The Calvert Library organizes events for all ages, such as the Connecticut Author Trail. Local government business is housed at the Franklin Town Hall and overseen by the First Selectman. Meeting and banquet spaces, indoors and outdoors, are available to rent at the town hall, the fire department, and Giddings Park.